"Cool Swirl" is a glass combing created from blue and green shades of System 96 glass. 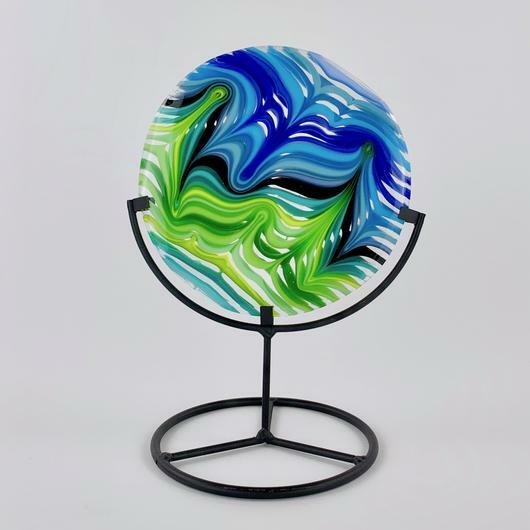 It measures 9" x 6" x 5" including the 5-1/4" Round Wrought Iron Table Stand. A Covington Disc Grinder was used in the cold working of this piece.